We do computer repairs, upgrades, virus removal, web design, troubleshooting and more! We work on all makes and models of PCs and laptops. 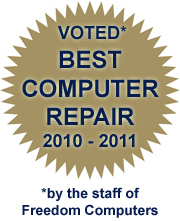 We can replace or fix any piece of hardware, and troubleshoot any computer problem. 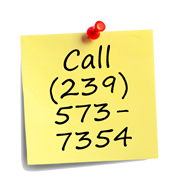 If you have any computer problem that you need help with, call us to schedule an appointment to have a technician come to help you. If your computer is running slower than it used to, or if your computer is not working the way it should, it may be due to spyware. We offer a thorough virus and spyware scan and removal in which we search your computer for unwanted malware and remove it for you. Our virus removal will fix all problems caused by malware infections, such as removing any fake rogue antivirus programs that try to trick you into purchasing their fake software, stopping pop up ads, stopping windows error messages, significantly increasing the speed of the computer, restoring hijacked wallpaper, hijacked homepage, or websites being redirected to a malicious website. We can diagnose and replace broken desktop motherboards, hard drives, power supplies, modems, missing drivers, and more. We can troubleshoot any random computer problem. If your computer is getting random blue screen errors, if your computer isn't starting correctly, if your printer isn't printing, if your sound isn't working, if your outlook email isn't working or if your computer is just acting unusual in any way, we can discover the root of the problem and fix it. If you have pictures, documents, mp3s, videos, emails, favorites, and contacts saved on an old computer, we can back up your data and transfer it to a DVD, flash drive, external hard drive, or to a new computer. We can also recover deleted data or extract lost data on damaged hard drives. 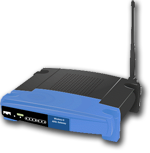 We do wired LAN and wireless networking. We can share folders, programs, printers and map drives. We can set up wireless laptops and allow you to access files, the internet and print wirelessly from anywhere in your home or business. We sell everything you need to get your network up and running. We also provide service calls to anyone that would like to be shown how to do anything computer related, such as how to send/receive email, use the web, burn DVDs, sell on ebay, sync a PDA or smart phone with your computer, rip CDs and put mp3s on your mp3 player as well as other topics. If you need help with anything at all, just ask!